Take a look at pro\ie.inf or home\ie.inf. The link for the update leads to Filesonic but several attempts to download only produce the message that the file has been deleted and does not exist. This is surprising seeing that it is a little over a month since posting. Can it be re-uploaded please or is there an alternate source? EDIT: Perhaps I should be more precise. A further check finds the "clean" version is available on Filesonic but the "no setup error" states it does not exist. Is there a reason for this as this version is the one I have previously used. Awesome! Thanks for the quick update, Yumeyao! Thank you very much for the update. One question... I stumbled upon this today... is it needed for yor pack? I get also promoted to install the KB2598845 update out since 25/10/2011. Outbreaker wrote: I get also promoted to install the KB2598845 update out since 25/10/2011. Hey user_hidden Any thought to include IE8 and WMP11 into your updated pack also? 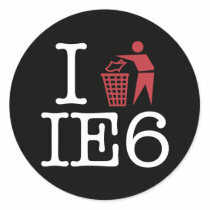 Join forces to kill IE6. Last edited by Outbreaker on Tue Nov 08, 2011 7:58 pm, edited 1 time in total. I build my pack to be modular so users can choose what to add in their integrations instead of an AIO. I leave the AIO to Onepiece as he does an excellent job. I did use Onepiece befoure but it has too mutch included and on some PC's i get a .NET framework error at the Windows XP installation. Onepiece has also things included that are not part of Windows XP but WMP and IE is already part of Windows XP. Thanks as always for your work yumeyao. just a question of interest:- is there any update for a running system? KB2598845 is not a critical update so it is not pushed to your desktop. use Windows Update and view "optional" updates. could you put some alternate download links please..
You may have reached this page due to a known problem with some UK ISPs. You may contact your ISP for support. An alternative is to buy a FileSonic Premium account. MediaFire mirrors added to the first post. Any suggestions how to delete search providers from ie8, but leave only the "google.com" and to accomplish that using registry keys ? I need to renounce to all search providers except google.com...which I like to be set as default and visible on the right...next to the url address field... any senior help, please ? yumeyao's addon should already remove Bing/Live Search. To remove Wikipedia search from the addon you need to edit the [Tweak.AddReg] section of yumeyao's IE.INF. Don't forget to edit all three instances. It can be found in the HOME and PRO folders, and in the root folder of the addon. Could someone be so nice and update this addon for use till yumeyao is back? we want yume back, who knows where is he hidding ? Can anyone please update this great work of yumeyao till she's back. You wouldn't happen to have one for x32 would you? I also end up with a lot of other error messages later on if I continue the GUI install stage and the system ends up being unusable. I had to remove it from my integration and revert back to yumeya's addon. Yumeyao's addon worked perfectly, but now that it is slowly becoming out-dated, I am looking for an alternative. I'm afraid not, adric. I haven't created an XPx86 addon of my own because I primarily use XPx64. I build what I can use and share if possible. I don't mind providing the MediaFire mirrors, but updating yumeyao's addon goes beyond this forum's boundary of polite assistance. He may yet update it for February's planned IE cumulative update. He's not gone. For anyone interested. Here's a simple svcpack addon to keep IE8 updated with Yumeyao's 1.4.11 IE8 addon from the first post. This addon is meant to supplement his addon, not replace it. Link removed for new update. Last edited by mr_smartepants on Wed Jun 13, 2012 8:19 am, edited 1 time in total. Some heroes don't wear capes, they wear Kevlar and dog-tags! You may integrate both addons together or separately. Works either way. Would be good if someone could update yumeyao addon or make a new one all the IE8 addon makers are in pension. "Description"="Security Update for for Windows Internet Explorer 8  (KB2632503)"
"BuildDate"="Fri Oct 28 18:06:35 2011"
"Description"="Security Update for Windows Internet Explorer 8 (KB2699988)"
"BuildDate"="Wed May 16 17:06:45 2012"
"BuildDate"="Fri May 11 16:41:34 2012"
"BuildDate"="Fri May 11 16:41:39 2012"
"BuildDate"="Fri May 11 16:41:38 2012"
"BuildDate"="Fri May 11 16:41:36 2012"
"BuildDate"="Fri May 11 16:41:35 2012"
"BuildDate"="Tue Apr 24 09:39:36 2012"
"BuildDate"="Fri May 11 16:41:37 2012"
"BuildDate"="Tue Apr 24 10:23:09 2012"
"Comments"="Security Update for Windows Internet Explorer 8 (KB2699988)"
"Fix Description"="Security Update for Windows Internet Explorer 8 (KB2699988)"
"Comments"="Security Update for for Windows Internet Explorer 8  (KB2632503)"
"Fix Description"="Security Update for for Windows Internet Explorer 8  (KB2632503)"
Last edited by ricktendo64 on Sat Oct 27, 2012 6:38 pm, edited 7 times in total. Thank you very much Rick. Let's hope Yumeyao will return some day to update his addons. Thank you Rick! I sorely missed this addon.